Google Glass terms of service: Restrictions on resale are bad for consumers. What the restrictions on resale of the gadget mean for consumers. 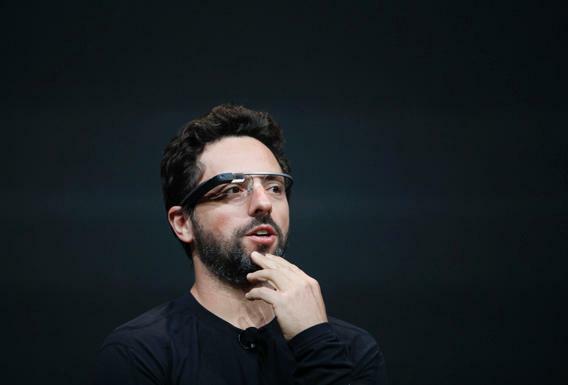 Late last month, Google selected 8,000 people to be given the privilege of forking over $1,500 to purchase a pair of Glass, the Internet-connected glasses that promise to bring wearable computing to a whole new level. [W]hen you purchase Glass devices or accessories from Google … [y]ou may not commercially resell any Device, but you may give the Device as a gift, unless otherwise set forth in the Device Specific Addendum. Recipients of gifts may need to open and maintain a Google Wallet account in order to receive support from Google. These Terms will also apply to any gift recipient. Welcome to the shrinking privileges of ownership in an always-connected world. Are these terms beneficial for consumers? Clearly not. Are they even enforceable? To at least some extent, they probably are. In copyright law (which protects original works of authorship), an owner’s freedom to resell, donate, or otherwise dispose of lawfully made printed books, music CDs, movie DVDs, and other physical (but not electronic!) copies of works is known as the “first-sale doctrine.” For patented inventions, the analogous concept is called patent exhaustion. As the Supreme Court explained in a 2008 decision in Quanta Computer Inc. v. LG Electronics Inc., the “longstanding doctrine of patent exhaustion provides that the initial authorized sale of a patented item terminates all patent rights to that item.” If you own a lawfully made music CD or a legitimately purchased automobile (which contains many patented components), you are free to resell either one without first seeking the consent of the associated copyright and patent holders. But that doesn’t mean you are free to resell Google Glass. Why not? Because the first-sale doctrine and patent exhaustion, which reflect federal law limitations on the rights of intellectual property holders, are not the only considerations. Contractual obligations are also important. A purchaser who enters into and then violates an agreement prohibiting resales could be exposed to a breach-of-contract claim. If your purchase of Glass from Google was accompanied by a promise not to commercially resell it, turning around and offering your Glass to the highest bidder on eBay could land you in hot water. Another complication is that Google Glass, like many recent- and emerging-generation consumer electronics products, is made useful largely through its ability to connect to license-based service offerings. When you use a service such as Google Maps, you do so under a license to access the associated content—you’re a licensee, not an owner of that content. The model of requiring purchasers of consumer electronics devices to first enter into restrictive contracts as a condition of sale and then to agree to restrictive licenses when using those devices raises multiple concerns. Most fundamentally, it does an end run around legal frameworks that evolved specifically to prohibit anti-competitive and consumer-unfriendly downstream control over transfers of ownership. And it’s confusing for consumers. It’s tempting to think of the Glass resale restriction as simply another unwelcome consequence of the many legalese-laden agreements that we all encounter when using almost any online service. But most of those agreements involve restrictions on data, not the devices on which they reside. You can’t resell files containing songs downloaded from Amazon, map data from Google, or restaurant recommendations from Zagat. Our purchased devices, by contrast, have generally been ours to keep, sell, loan, or donate as we see fit. That flexibility is lost when a purchase comes with restrictions like those in the Glass terms of sale. So, what’s the solution? Ideally, device sales shouldn’t come with downstream resale restrictions. People who buy consumer electronics devices ought to be free to enjoy all the traditional privileges of ownership—including the ability to dispose of them on terms of their own choosing. Companies unwilling to provide that flexibility should at least ensure that their customers are clearly informed of the strings attached to “ownership.” In this respect, Google could do better. The Google Glass terms of sale, for example, purport to “apply to any gift recipient” to whom you might give Google Glass. What does that really mean? If you give someone Google Glass, is it your responsibility to ensure that the recipient is duly informed of and agrees to the resale prohibition? If you don’t even raise the issue—or if you do but the would-be-recipient doesn’t agree—can you still give the gift? And if that person sells your gift on eBay, was there a breach of contract, and if so, of what contract? Consumers, too, can push back against what may be a growing trend to encumber purchases of advanced consumer electronic devices. If consumers display a reluctance to accept overly restrictive device sale terms, market pressure should force companies to adopt terms ensuring that we really own the things we buy. But if the heated competition for the right to buy Google Glass is any indication, we won’t see that market pressure brought to bear any time soon. That’s unfortunate, because there’s a risk of creating a new normal that leaves consumers with a substantially diminished set of rights regarding their devices. In the mean time, if anyone offers to give you a pair of Glass as a gift, you may want to read the fine print.